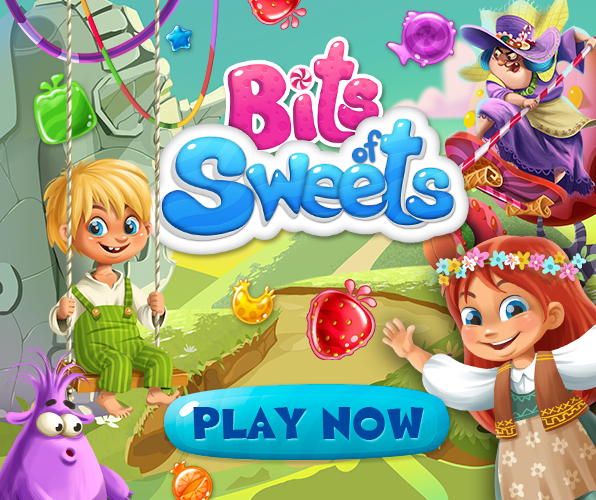 Join a dangerously sweet escape from a witch! 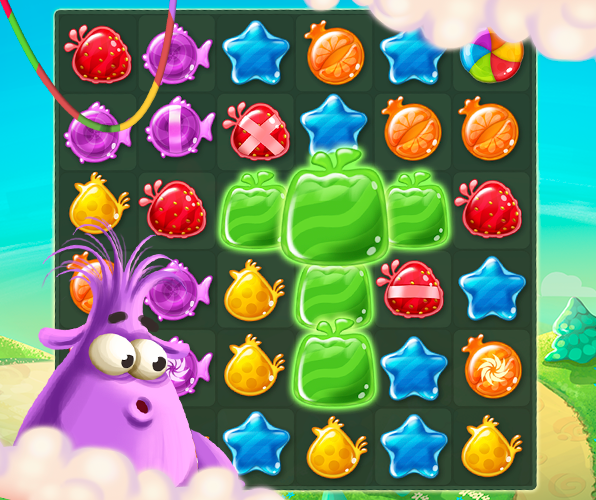 Bite your way through candy hills and gummy seas by matching treats with a couple of cute kids. 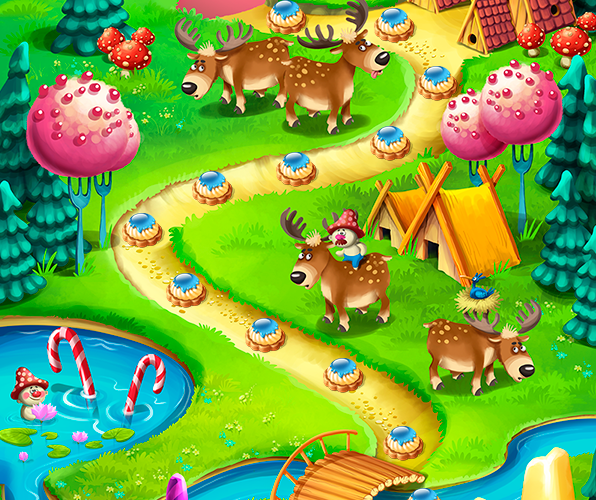 Mix bonbons and crumble cookies on the run! Show what you’re made of while solving deliciously challenging puzzles and helping your new friends Cara and Mel escape from an ugly, gluttonous witch. 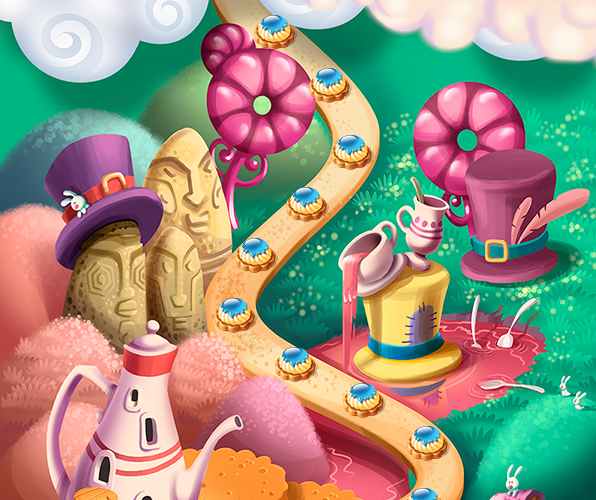 Make lollipop combos, crush cookies, smash donuts, and collect teaware for a tea-and-pastry ceremony between breathtaking duels with the witch. 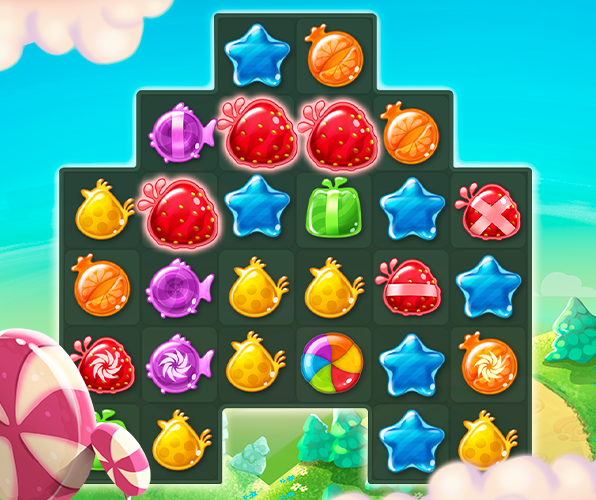 Share every bit of this sweet candy-matching adventure with your friends!